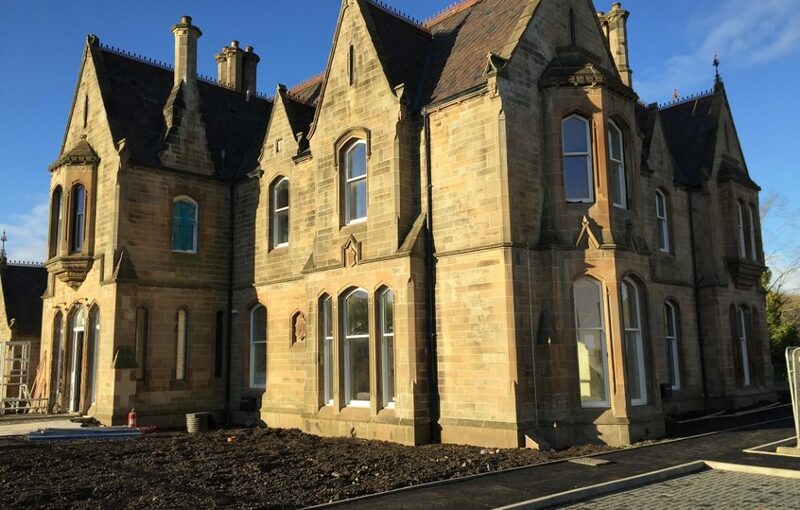 Six beautiful and unique one and two-bed apartments and duplexes have been revealed at the stunning conversion of the magnificent Carrongrove House at Stoneywood, near Denny in Stirlingshire. 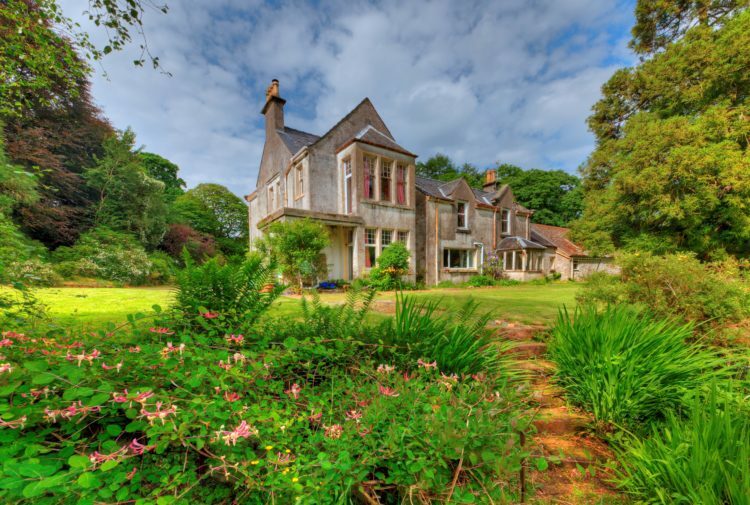 Mactaggart & Mickel hired specialist architects and craftsmen to breathe new life into the historic B-listed mansion house, originally constructed in the 1860s as a home for the owner of Carrongrove Paper Mill and his family. Period features have been retained and sympathetically restored or recreated, resulting in a graceful harmony of heritage – Gothic-arched sash-and-case windows, high ceilings, large, graceful rooms– complemented by the very best contemporary design and luxury finishes. 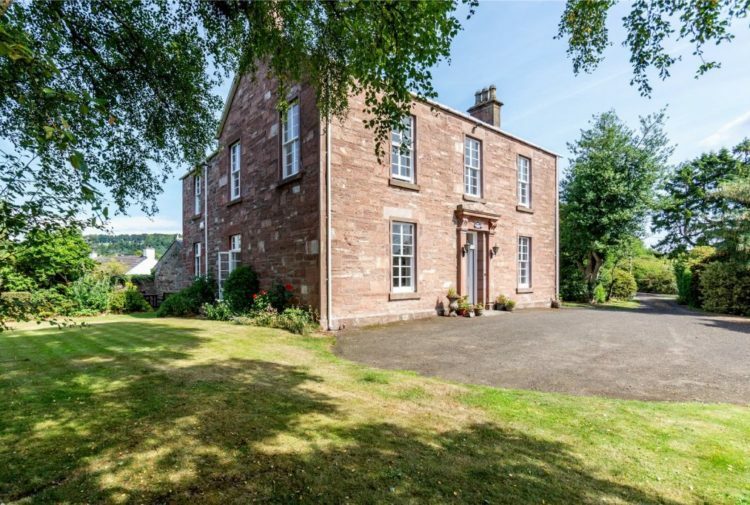 A honey-coloured sandstone exterior, complete with elegant roof line with wrought iron finials, and original ‘diamond’ slate tiles, gives way to a main entrance hall, complete with fireplace and a magnificent book cabinet, both original pieces from the House. A grand staircase comes into view, featuring a lovingly restored ornate wooden balustrade. The stairs divide on a half landing, in front of a beautiful – and original – stained glass window before continuing to the upper floor leading to the Torwood two-bedroom apartment with its beautiful bay window and unrestricted views towards the River Carron below. Intriguing ‘little and large’ windows in one of the bedrooms immediately catch the eye. This property has an ensuite to the master bedroom and a further bathroom. Also accessed from this shared entranceway is the Deanston one-bedroom ground floor apartment, with a huge living and dining area, dominated by south and east facing windows, flooding the space with light. Original features from Carrongrove House have been recreated including ornate coving, an elegant fireplace, larger doors and deep skirting, creating a truly unique apartment. 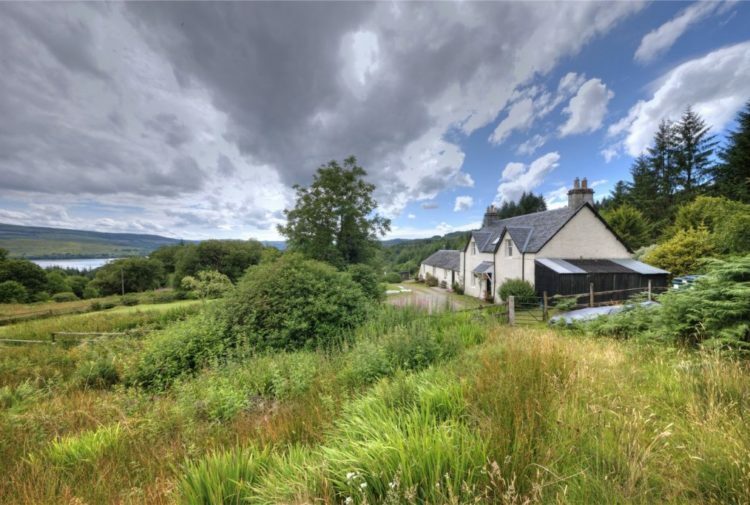 And if privacy and a peaceful outlook appeals, the two-bedroom Cromlix offers this in spades, with stunning views from the living room, kitchen, and both bedrooms towards the tree-lined Carron. A further three homes have private entrances. The two-bedroom Airth duplex is full of character and its south and west facing aspect means it is filled with light for most of the day. On the first floor, a large living/dining area and separate kitchen give plenty of scope while the master bedroom has a generous dressing room and ensuite. Next door is The Keir, a ground-floor two-bedroom apartment with sole private access via French doors to the inner courtyard of Carrongrove House, an ideal retreat on summer days. The kitchen and separate utility room both look over this courtyard, creating a tranquil space. The large living and dining space both face south, and the master bedroom has an ensuite. Finally there is the privately situated Doune, a cleverly-designed duplex with a lovely living/dining/kitchen area, plus cloakroom, on the ground floor. Upstairs is the main bathroom plus two bedrooms that both overlook mature trees and the river Carron to the north. Carrongrove House sits within its own elegant landscaped grounds – including a formal garden to the front – within the wider development of new build homes by Mactaggart & Mickel. Early Bird options are available on the selected plots at Carrongrove House. For more details call 07583 686 340 or email carrongrove@macmic.co.uk. 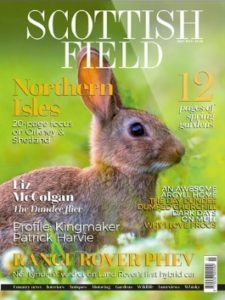 Visit macmic.co.uk for more details.